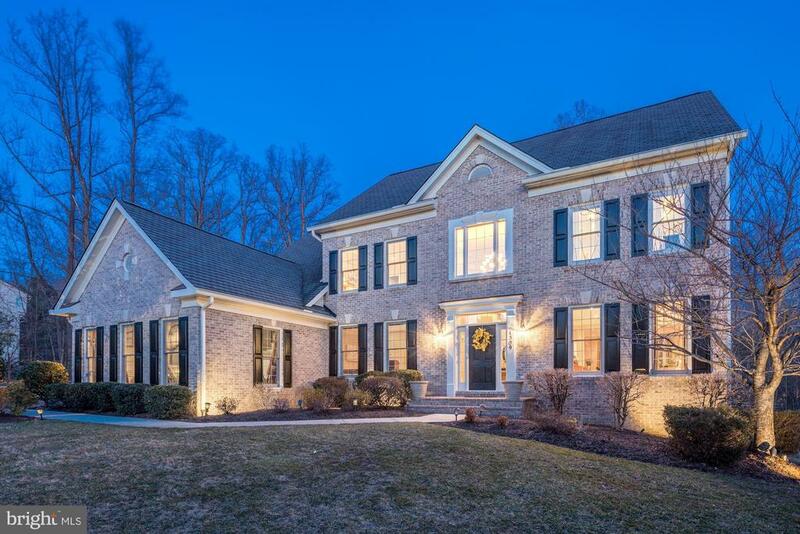 All Herndon homes currently listed for sale in Herndon as of 04/24/2019 are shown below. You can change the search criteria at any time by pressing the 'Change Search' button below. 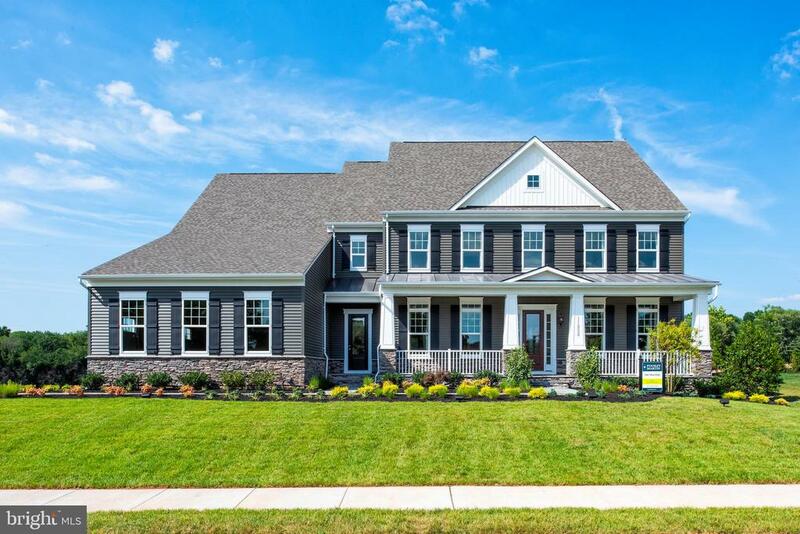 If you have any questions or you would like more information about any Herndon homes for sale or other Herndon real estate, please contact us and one of our knowledgeable Herndon REALTORS® would be pleased to assist you. "Stunning Stanley Martin Model, featuring a wide open floor plan, soaring 10 ceilings, all bedrooms have en suite baths, designer kitchen opening to the light filled morning room! Fantastic deck, patio/fire pit. Private 4th level loft features a rooftop terrace perfect for unwinding after a long day. The tiered floor in the media room is the perfect retreat to watch your favorite blockbuster!!" "Opportunity is Knocking! **Price Adjustment** Simply Spectacular... This home stands tall on a hill and was carefully upgraded and molded into a model of accomplishment and good taste. It also has its playful side with the back yard sport court, zip line through the trees, rock band music stage, and climate controlled playhouse. Which personality fits your family best? 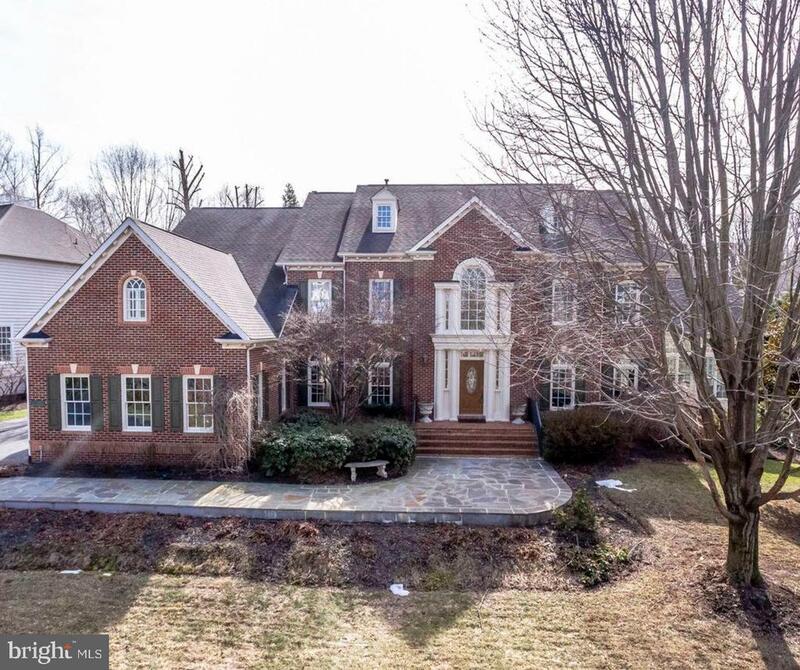 Magnificent Estate Home in sought after North Reston/Herndon sits on 1.16 acre Wooded Lot with over $300k of landscaping including flagstone patios/walkways/walls, deck, SportCourt Play Area & surrounding 6ft Iron Fence. Interior boasts 10ft ceiling, TOP CHEF Gourmet Kitchen w/Commercial Appliances & Recently Refaced Custom Cabinets. Completely renovated Luxury Master Bathroom. Morning room w/Tall Windows show off a manicured lawn reaching back to a climate controlled Playhouse and SportCourt. There aren't words for the Spectacular Owner's Suite (must see) w/sitting room, custom closets & more. Lower level is completely finished with an In-Law Suite and Walk-out to Patio. Over 6000+ interior sq. ft."
"Stunning Stanley Martin Homes Travers Model, located at the end of the cul-de-sac, next to common area and mature trees! Upgraded landscaping complements this exquisite home and home site. Featuring a 3 car side load garage, gorgeous exterior, premier home site, morning room, 5 extremely large bedrooms, all with walk-in closets and en-suite baths. Soaring 10 foot ceilings, detailed moldings, luxurious owners retreat, with the ability to finish the large basement. Walk-out home site!" "Absolutely stunning NV Custom Estate Home in exclusive Cedar Chase - Herndon - Great Falls. Fantastic open floor plan with custom additions on every level. 5/6 Bedrooms including a main level bedroom with full bathroom. The kitchen is a window-rich haven with counters, cabinets, storage and preparation space galore. Updated and gorgeous hardwoods throughout the main level. A large private office graces the front of the home and an open dining room centers the property with space for any dinner party. Located at the rear of the home is a wonderful sunroom with 3 sided windows and access to private rear patio area.The upper level features a master suite that makes retiring to bed a dream. Three oversized bedrooms with private bathrooms are full of light pouring in to each. The basement features over 1,800 square feet of finished space perfectly suited as a media/theatre room, game room, fitness room and bonus bedroom along with a full bathroom. There is an additional 500 square feet of unfinished storage space. The centerpiece of the exclusive and tranquil backyard is an oversized, multi-level stamped concrete patio that allows for amazing entertaining. The patio spills out on to a large flat lawn and a wonderful sitting area featuring a beautiful stone patio all surrounded by a custom pergola. The rest of the exterior is adorned with custom landscaping, rock, and hardscape throughout. Truly a move-in ready estate home. Located on a quiet court with 4 other homes. Direct Access to Route 7, Georgetown Pike, Reston and Great FallsOversized Private Main level laundry areaLarge Mudroom and half bath off the garageLarge Sunroom/Sitting areaOversized stamped concrete patioLarge Flat YardStone patio and pergola sitting area"
"New price improvement on this Absolutely stunning turnkey beautiful home, renovated & expanded to over 6300 sq ft of perfection with suberb craftsmanship throughout the house! It's a home that you will truly fall in love with! Langley Schools! The gourmet kitchen includes state of the art appliances, including Dacor stove w 2 ovens, a wall oven, 2 dishwashers, microwave & a warming drawr and a spacious granite island with seating! Walk out lower level includes a theatre room, projector & screen that convey, stunning wet bar, exercise room, bedroom & full bath! Hot tub on pavered~ conveys! Patio is surrounded by flowering fruit trees giving one privacy they deserve-and a professionally landscaped backyard paradise! UL bedrooms have been remodeled w trey ceilings in MBR & one of the guest BR's! MBR spa bath has heated floor! Beautiful Brazillian hardwoods On ML & UL! 2 story foyer, FR w gas FP Office w french doors! Sun drenched breakfast room & sunroom! Generator that conveys and services almost the entire home! Langley Schools! Better than new! Owners have put in over $350,000 to make this home their dream home that can now be your home! Hurry it won't last! Cul de sac, corner lot! There are also 2 walking paths close to the home for children to ride their bikes, to walk the dog, or jog or run. Enjoy nature within walking distance of your new home!" "Spectacular Monticello model with 3 car sideload garage and over 7900 square feet of living space on 3 finished levels in Cedar Chase which is a private enclave of 47 homes in great location*Loaded with upgrades including custom paint, hardwood floors, extensive moulding, 2 sunrooms, 2 fireplaces, 5 bedrooms, 5 1/2 baths and gourmet kitchen with stainless appliances and granite*Large master suite with tray ceiling, separate sitting room, 2 walk in closets and recently updated master bath*Upper level features 3 additional large bedrooms each with walk in closet and full bath*Finished walk up lower with recreation room with 2nd gas fireplace, game room, separate exercise room, 5th bedroom, 5th full bath and ample storage. Backyard oasis with extensive hardscape, patio and waterfall!" 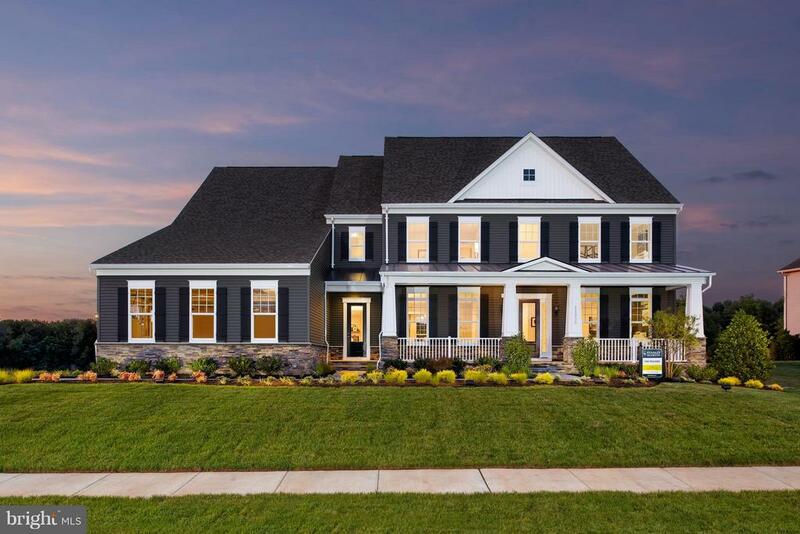 "Fairfax County's Premier New Home Community, Summerhouse Landing offers exquisite Estate Homes minutes from I-66, Fairfax County Parkway, Route 7, The Tysons Corner and Reston Metro's, Reston Town Center and Tyson's Corner!" 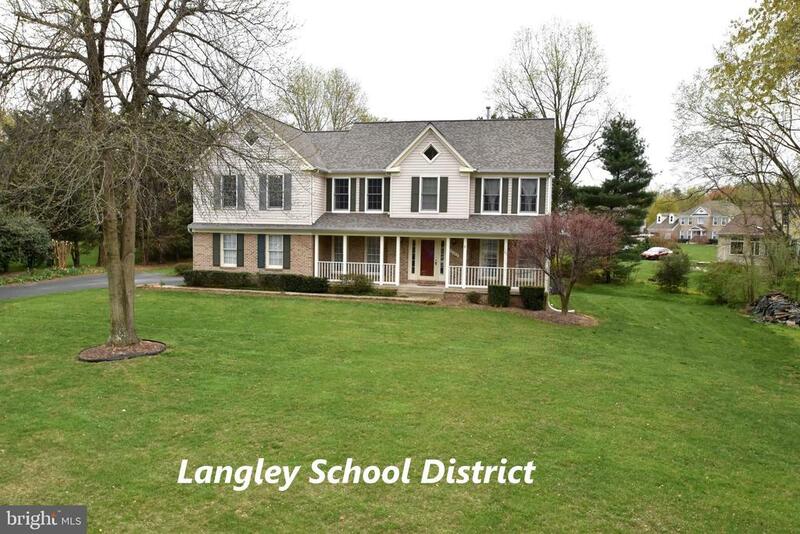 "Stunning Brick front & garage 5BR 5.5BA on 1.10 acre with public sewer & water! Circular drive to covered porch with slate floor. Foyer welcomes you w/grand circular staircase & circular tray ceiling. LR w/stone wall & 2 story FR w/2 story stone FP & 3 Palladian windows over looks tree lined grounds! Spacious gourmet kitchen w/island, double ovens, 5 burner cooktop, icemaker, wine cooler, 2 year new built in refrigerator plus gas fireplace & breakfast area with bay window! Spacious DR w/Bay window & convenient Butler's pantry. Luxury master suite w/tray ceiling & cove lighting, gas fireplace plus newly updated master bath & 2 cedar walk in closets. Spacious second bedroom w/high ceiling & large walk in closet. Incredible bright and light finished lower level with 2 story bank of 15 windows shedding plenty of light on lower level with walk out. Rec room w/gorgeous stone fireplace & big screen TV, fabulous wood bar with granite, ice maker, dishwasher, refrigerator & amazing stone wine cellar great for entertaining! Also smaller TV for games. Large guest suite with sitting area, huge walk in closet and private updated bath. Second lower level updated bathroom features steam room shower. Also exercise room and large storage room! Freshly painted interior and exterior trim, new carpet, and new Palladian windows. Fabulous 3 car garage with shower, built-ins and fresh epoxy on floor. Extensive exterior lighting on house and landscape. Large private back yard backs to trees." "The Landon Model by Stanley Martin offers the spacious, wide open floor plan you desire, with the focus on a kitchen that puts family dinners first! Prepare your specialty dish surrounded by the finest in kitchen appliances, cabinets and tons of space. The owner's bathroom wet room offers a retreat to relax and unwind in after a long day or work or traveling. Spacious bedrooms and walk-in closets!" "FANTASTIC BRICK COLONIAL FEATURING EXCEPTIONAL UPGRADES AND RENOVATIONS. GRACIOUSLY SITED ON 1.7 ACRES WITH LUSH PLANTINGS AND A POND...GLEAMING HARDWOOD FLOORS.. 1ST FLOOR DEN AND GREAT ROOM W/FP & FITTED CLOAK ROOM..SEPARATE FORMAL DINING ROOM..AWSOME GOURMET KITCHEN W/LARGE CENTER ISLAND AND HIGH-END APPLIANCES + A CASUAL DINING AREA + SUNNY MORNING ROOM FOR YOUR MORNING COFFEE..UPPER LEVEL FEATURES INCLUDE 4 BEDROOMS AND 3 FULL DESIGNER BATHS + STUDY AREA ..LOWER LEVEL BOASTS REC ROOM W/FP, BAR & LOUNGE AREA, FULL BATH, ENTERTAINMENT/EXERCISE ROOM, LAUNDRY, LARGE STORAGE AREA AND LOWER FITTED FOYER..ESTATE STYLE LONG DRIVEWAY WITH DETACHED 4 CAR GARAGE..PROFESSIONALLY LANDSCAPED YARD WITH TOWERING TREES BRICK PAVER WALKWAY AND BRICK PATIO'S..MOVE IN READY..COME HOME AND BE PROPELLED INTO COMFORT, LUXURY AND STYLE ALL AT ONCE! PERFECT LOCATION, CONVENIENT TO RT. #7, FFX COUNTY PARKWAY, SILVER LINE METRO, DULLES TOLL ROAD AND AIRPORTS...EXCELLENT FFX CO. SCHOOL PYRAMID. GREAT PRICE REDUCTION! OPEN SUNDAY 4/28 FROM 2-4PM"
"Spacious open floor plan offering screened porch options, open great room on the bedroom perfect for homework study time, and the ability to add a rooftop loft and terrace! Perfectly located in the heart of the Reston/Herndon/Great Falls corridor with access to the Dulles Toll Road, Fairfax County Parkway, Reston Town Center and Tysons Corner!" "Exceptionally priced brand new Stanley Martin model, featuring soaring 10' ceilings, an epicurean kitchen to create memorable dishes, spacious bedrooms and closets, the ability to customize with a Oscar Premier worthy media room, rooftop terrace to unwind with a refreshing drink while watching the sunset, and expansive homesite allowing the perfect retreat to entertain or let everyone play!" "New price! Fantastic Value for this Spacious Colonial on end of quiet cul-de-sac! Enormous gourmet kitchen with 8 foot extension, skylights, huge island w/oceans of granite, breakfast bar, table space, 2 ovens, 2 wine coolers, 2 dishwashers, pantry closet & butlers pantry. Laundry/mud area on ML just off garage. Kitchen opens to Great Rm. w/wood burning fireplace. Office w/French doors on the ML. Mstr Ste. w/sitting/dressing room or additional office, and large walk in closet. Mstr ba. has skylight & is filled w/light, sep. vanities, tub & shower. LL is so spacious & light w/rec. rm, bar, games rm, multipurpose rm. & 1.5 baths. Space for everyone. Decking in rear of kit. & FR for endless and easy entertaining! Celing fans in Master BR and Great Room! Good value for this lovely home which sits on a quiet cul-de-sac and .46 acre lot. Storage shed in rear." 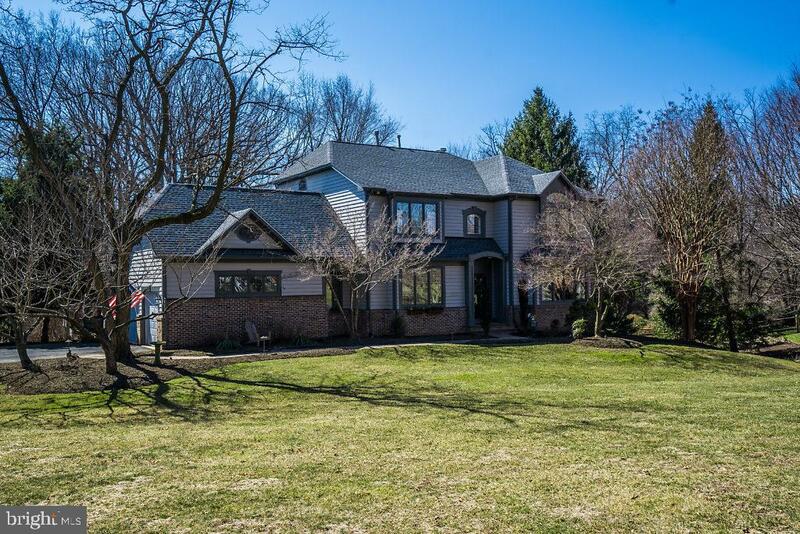 "This is a beautifully updated transitional colonial home built by Gulick. Open Floor Plan, Walkout lower level. Beautiful One Acre Lot Backing to Mature Trees. Updated kitchen with granite counters. 2-Story SunRoom. Remodeled Master bath. Hardwood floors throughout the main level. Finished basement with bedroom and full bath. Awesome deck overlooking trees. Oakton high school triad." "Marvelous home stately sited off cul-de-sac, on nearly one acre premium lot backing to pond. 3-car Garage and accented brick front with multiple gables. Tremendous 2-story Foyer extended with center gallery hall with hexagonal railed overlooks. Formal Living & Dining Rooms flank the Foyer. Bay windows on all four sides of main level with abundant windows throughout add natural light and extended space of 3,725sqft above ground. Gorgeous Sun Room addition of side offers 20ft cathedral ceiling, treed views, and adjoins both Living Rm and Study via french doors. Gleaming tones of hardwood floors, ceramic tile, and plush carpet. Private main level Study with serene view. Spacious Family Room highlighted by gas fireplace and door for possible access to future rear deck projects. Chef's delight Kitchen with Breakfast Room. Laundry Room access to/from the Garages. Additional rear staircase leads from Kitchen to bedroom level for inflormal family access, while formal rear staircase off Foyer turns past grand paladian window to upper overlook hallway. Double doors open to inviting Owner's Suite that boasts wall of windows spanning the bedroom and sitting room. Coffer ceiling over bedroom and 2-sided gas fireplace warms both rooms. Luxury Bath leads to set of three large walk-in closets/dressing room. Secondary Bedroom has ensuite, while two more Bedrooms share the full hall Bath. Enormous unfinished basement provides space for rooms with rear windows and upgrade French door level walk-out. A 15x12' Wine Room was constructed off side of basement as a special treat. Convenient to Route 7 and Fairfax County Parkway, plus Wiehle Avenue and Reston Parkway..."
"Amazing new price! Get ready to entertain in this fantastic brick front home built in 2002 by Carr Homes. Private treed and lighted driveway and beautifully landscaped walkway. Enormous private fenced .81 of an acre rear yard with tree house, deck and concrete patio. Side load 3 Car garage with remote openers. Mud room with washer/dryer hook up and mop sink. Grand two-story foyer, and main level study. Gleaming hardwood floors throughout main level. Living room and dining room with recessed lighting, fresh paint and tons of windows with custom window treatments. OPEN FLOORPLAN ~ Beautiful family room with ceiling fan, gas fireplace, surround sound speaker system and plantation shutters. Kitchen has large center island with gas range, stainless dishwasher and fridge, double oven and countertop microwave. Morning room off kitchen with wall of windows. Upstairs guest bedroom with private full bath. Jack and Jill bedrooms share another full bath. Luxurious master suite with sitting room. Master closet has amazing custom closet system. Master bathroom has separate vanities, soaking tub and separate shower. Lower Level has in-law/au pair suite with kitchenette, 5th bedroom and full bath. Laundry room has newer washer/dryer (4-5 yrs old). Entire Dual HVAC System installed 2017." 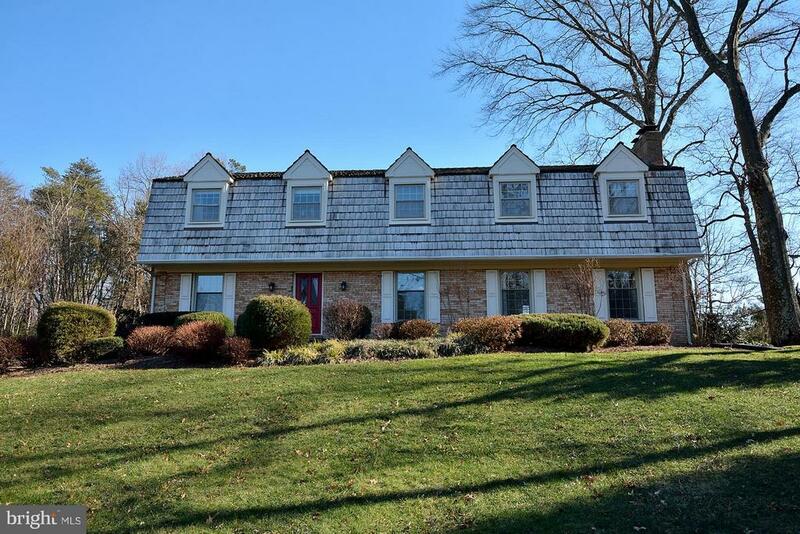 "Beautiful 5 bedroom and 4.5 bath home in Floris/Carson/Westfield school district. Huge Master w/ Walk-in closet and remodeled bath w/ tiled Jacuzzi Tub, frameless shower, dual sinks and granite. 4 additional upper level bedrooms w/ 2 Jack/Jill baths, 2 beds w/ walk-in closets, 2 w/ lean-in closets. Room over garage has access to crawl space for additional storage. 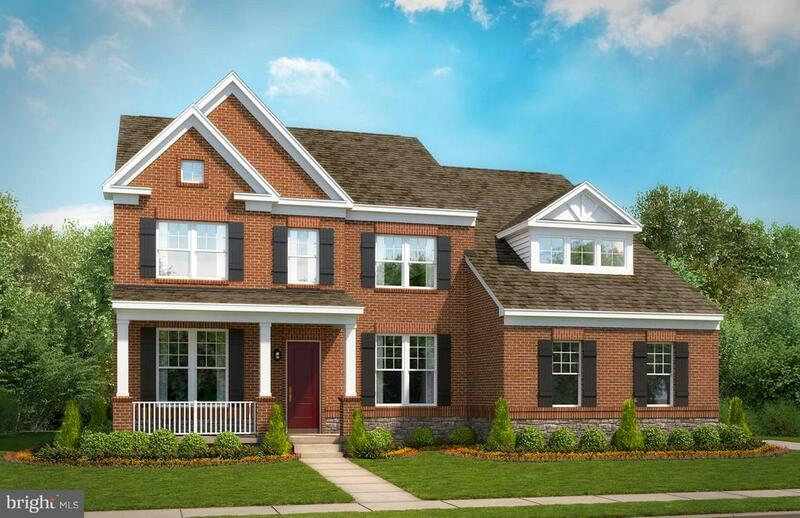 Soaring two-story foyer and extended family room with brick hearth fireplace and dual stairs. Center island kitchen with granite counter-tops, oak cabinets, and updated appliances. Formal study with built in bookshelves and workspaces, dining and living rooms on main level. Breakfast room opens to maintenance-free screened porch and composite deck with walk down stairs to patio and backyard. Professionally-designed landscape w/ sprinkler system. Finished basement w/ TV viewing, workout and billiards rooms, gas fireplace and majestic bar for entertaining plus unfinished space for storage. 3-car sized garage with 2 door access, great for additional refrigerator/freezer and storage of bikes, lawn and sports equipment, etc. Don't miss out on this gem and make your appointment today!" "OPEN 4/28, 2-4****LUCKY YOU!!! *** Two year old Evergreen built home is SPECTACULAR in every way! Hardwood flooring throughout the main level AND the upper level, too! Main level office! Separate dining room and wonderfully open floor plan makes entertaining a joy! Gourmet kitchen has stove a wall oven and a convection oven/microwave! High end stainless appliances, HUGE island AND a peninsula for even MORE counter space! Wonderfully sized family room has big windows and a gas fireplace! Walk right out the back to the two car garage, deck and fenced, flat yard! Upstairs there is a perfect laundry room with high efficiency washer and dryer and great storage! Two very bright bedrooms with a full bath in-between! Master bedroom is a wonderful oasis with a to die for closet! It's basically the size of a bedroom! The master bathroom is like a spa and has double sinks, HUGE shower and gorgeous tile all around! Fully finished basement has 4th bedroom, third full bathroom, recreation room perfect for all your hobbies or parties! Plus! There is a bonus room for another office or hobby room! Don't miss out on this opportunity to live in -Downtown Herndon- where it's not just a place to live, but a true community!Two blocks to Jimmy's Old Town Tavern, 5 other restaurants, the library, bread store, Dairy Queen, Town Hall, W&OD trail and MORE coming! Centrally located to all major transportation routes including the Toll Road, Fairfax County Parkway, 28 and Route7. Wiehle Metro station is OPEN and Herndon's Metro station slated to open in 2020- about a mile away! Herndon taxes get you trash/recycling pick up, leaf pick up without bagging, 2 large item pick ups a year, Town Government and best of all, your own Police Department! So many services for the cost of an HOA fee, but this house is not within an HOA! Hurry to this one!" 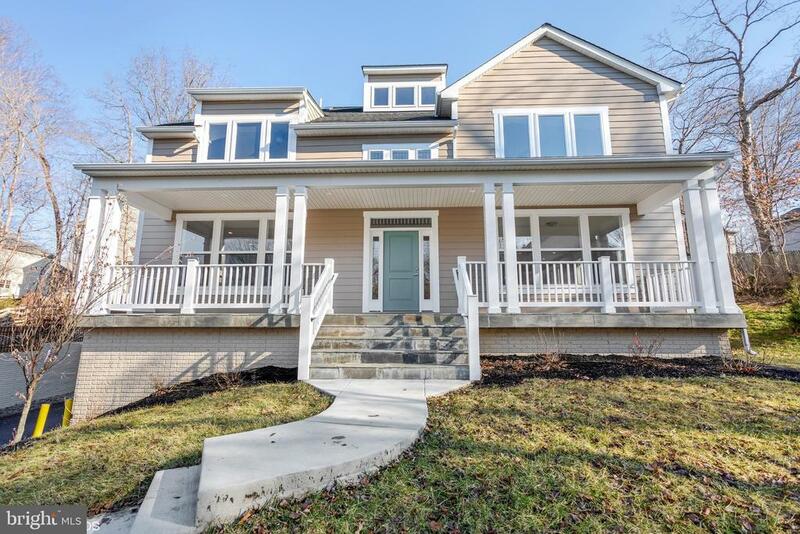 "Brand New Contemporary House In Herndon Virginia! Located within the region's technology corridor, this spacious 4100 + square foot home in a planned community is nestled in one of the best neighborhoods and awaits its new owner. On trend with grey hardwood floors throughout, this home creates a relaxing, environment and is well illuminated naturally in each of the living spaces. With an open concept gourmet kitchen and dining area, the stately island provides a vegetable washing station and an impressive amount of space to entertain. With plush carpeting in each of the five en-suite bedrooms, granite and marble throughout, an over-sized two car garage, and an over-sized driveway that can accommodate 4 additional cars, we encourage you to schedule your tour today! This won't last long!" 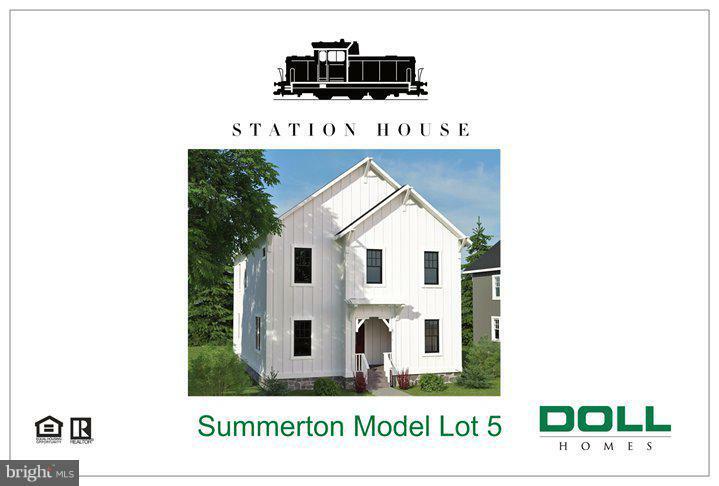 "Now Open Station House, a brand new community of custom cottage/craftsman style home. 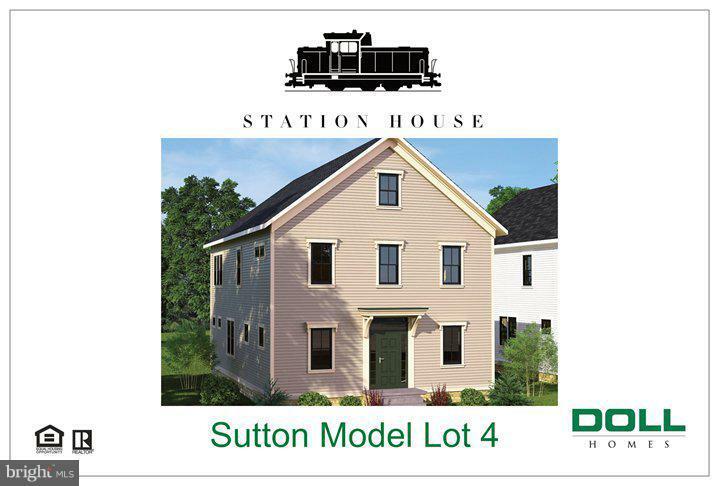 Open to the public Wednesday to Sunday 12 p.m. to 5 p.m., Station House is an enclave of eight new Craftsman/Farmhouse-style homes in the heart of Historic Downtown Herndon. 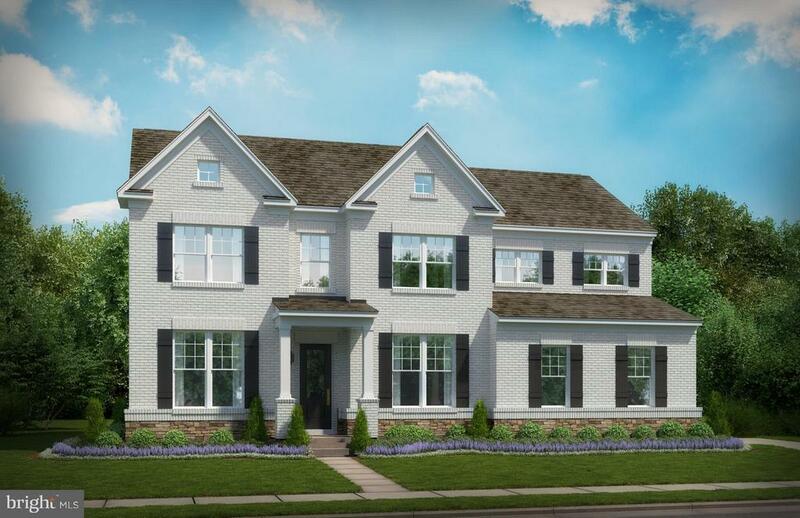 The charming, historic-inspired exteriors are complemented by today's most sought-after features inside the homes, such as: gourmet kitchens with islands; open, functional layouts; optional main level master or in-law suite; & optional above garage loft w/a full bath. You'll love living just steps away from Herndon's shops, restaurants, bars, and the W&OD!" "Outstanding 4000+ sqft finished home on cul-de-sac, sited on 3/4 acre lot in coveted Langley school pyramid. 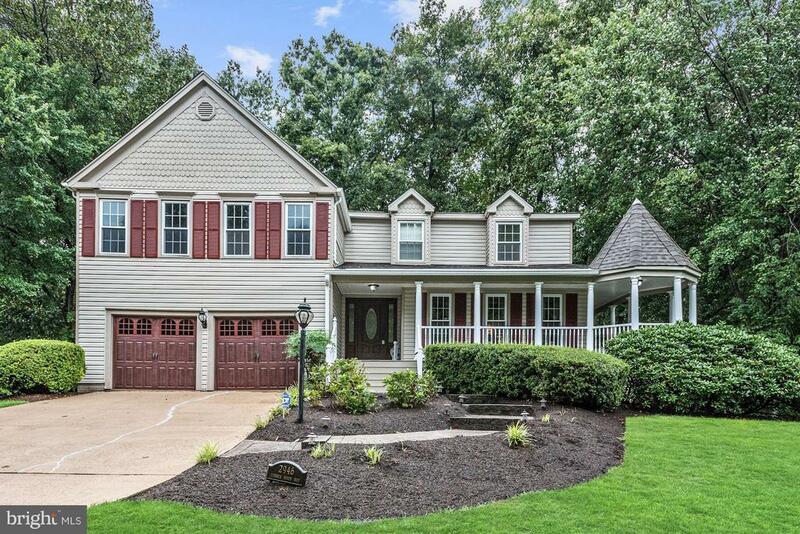 Open floor plan with gorgeous hardwood flooring throughout the main level, sun filled rooms, convenient side entrance into the mudroom with back staircase, stunning Stone fireplace, 4 BR s, 4.5 BA s, Main Lvl Office. Plus large Rec. room on lower level, ample storage & 5th BR/Den. Backyard is complete with large deck overlooks private backyard. Just minutes to Rt 7, Ffx. Co. Pkwy & Toll Road!" "Welcome to this beautiful contemporary home with a traditional floor plan. The two-story foyer invites you into this grand home with formal living and dining rooms. The gourmet kitchen features an island with breakfast bar as well as informal dining area, and opens to the family room with fireplace. A spacious screened porch and open air deck overlooking the backyard offer outdoor enjoyment off the kitchen and family room. An office, laundry room, and powder room add convenience to the main level. Upstairs are four bedrooms including a big master bedroom suite with walk-in closets and an en suite bathroom with tub and separate shower. The basement is fully finished and has plenty of space for recreation and storage." "Now Open Station House, a brand new community of custom cottage/craftsman style home. 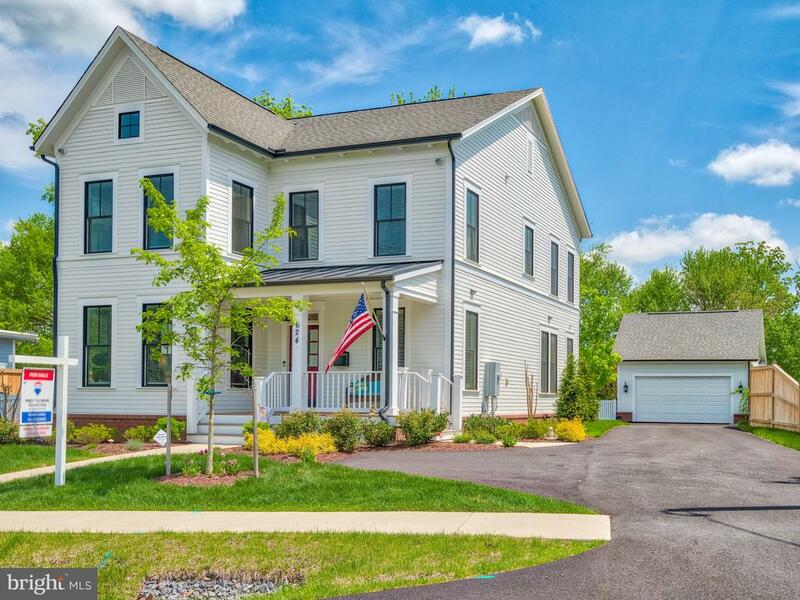 Open to public Wednesday to Sunday 12 p.m. to 5 p.m .Station House is an enclave of eight new Craftsman/Farmhouse-style homes in the heart of Historic Downtown Herndon. 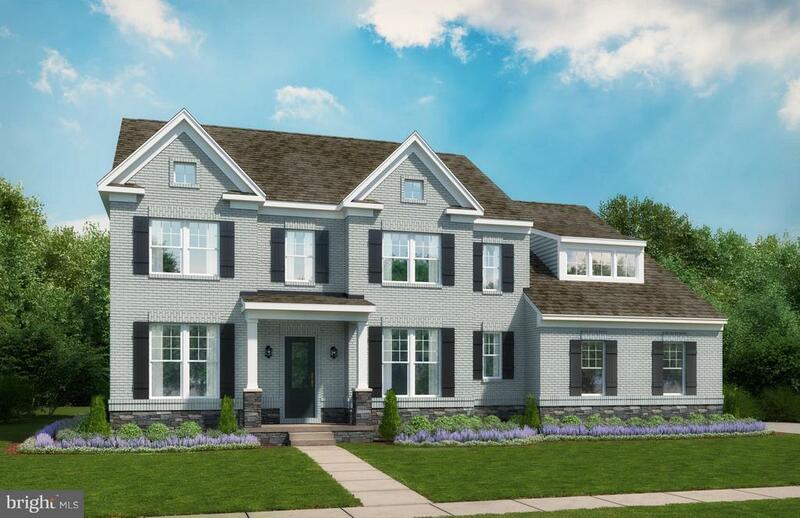 The charming, historic-inspired exteriors complement Historic Herndon while offering today's most sought-after finishes like: gourmet kitchens with islands, & open layouts, optional main-level master or in-law suite, & optional above garage loft w/a full bath. You'll love living just steps to the town's shops, restaurants, bars, & W&OD trail." "Substantial Glenbrooke Woods home designed to maximize the function & pleasure of each room! Wrap-around porch & solid mahogany front door greet visitors! Flowing floorplan is perfect for daily living & entertaining with formal Living & Dining Rooms. True gourmet Kitchen features granite counters, soft-close maple cabinetry, Chef's sink & brick archway above cooktop! Family Room provides direct access to two-level deck overlooking peaceful wooded lot. Four oversized Bedrooms on upper level. Stunning Master Bath offers steam shower, Jacuzzi Pure Air Spa Tub, Travertine counters & more! Expansive walk-in closet! Expanded lower level with Rec Room, loft Bedroom & full Bath! Fantastic location near all modern conveniences!"